The Centers for Disease Control and Prevention (CDC) recently warned physicians and patients about the potential risk of infection from contaminated heater-cooler devices that are used during open-heart surgery. Some of the symptoms associated with infections from these devices include fatigue, weight loss, night sweats, and fevers. The warning was issued because certain LivaNova PLC Stöckert 3T heater-cooler devices were contaminated during the manufacturing process, before they were used in surgery. Patients may face potentially fatal infections if they have been exposed to these contaminated devices. At Moll Law Group, our defective medical device attorneys are available to assist you in filing a claim if you underwent surgery while this device was used even if you are not currently experiencing any symptoms. Heater-cooler units like the items that were contaminated are a critical part of open-heart surgery. About 60% of heart bypass procedures performed around the country use these devices. According to the CDC, people who have had valves implanted face a higher risk of infection. The infections are serious, and some patients have died. The CDC and the FDA first published an alert about these contaminated devices in 2015. Laboratory tests suggest that the devices were contaminated with Mycobacterium chimaera, a type of bacteria often found in water and soil, during the manufacturing process. Although it rarely infects healthy people, people undergoing heart surgery are vulnerable to the slow-growing bacteria and may develop symptoms that take months and even years to surface. 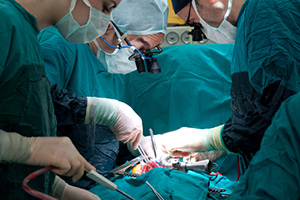 If you have been experiencing serious or life-threatening symptoms, or a loved one has died due to exposure to a contaminated device during open-heart surgery, your best opportunity to recover the costs of treating the infection and obtain compensation for the resulting pain and suffering may be to bring a product liability lawsuit. In most cases, in order to establish a company's liability for your injuries, you will need to show that the product was defective and that the defect caused your injuries. The defects in the contaminated heater-cooler cases are likely manufacturing defects or marketing defects. Manufacturing defects are typically one-off defects that occur unintentionally during the manufacturing process. They usually exist in some but not all of the devices. The contamination of only certain devices tends to suggest a manufacturing defect. There may also be a marketing defect associated with a heater-cooler device. This is also known as a failure to warn. To the extent that the manufacturer knew of the risk of serious infections but failed to provide adequate warnings to physicians and consumers, the manufacturer may be held liable for its failure to warn. Generally, a manufacturer discharges its duty to warn about medical pharmaceuticals and devices by warning physicians under the learned intermediary doctrine. Victims who are able to establish a manufacturer's liability may recover all of the economic and noneconomic losses associated with the harm caused by the contaminated devices. These may include medical costs, lost wages, pain and suffering, mental anguish, and loss of consortium. If a loved one died due to an infection, it may be appropriate for certain family members to bring a claim for wrongful death. If you or a loved one underwent open-heart surgery where a contaminated heater-cooler device was used, the defective medical device lawyers at Moll Law Group are available to file a product liability lawsuit on your behalf. Our firm has represented victims and their families nationwide, including in Illinois, Michigan, Ohio, Pennsylvania, Texas, New York, Florida, and California. Billions of dollars have been recovered in cases in which we have been involved. Call us at 312-462-1700 or use our online form to set up a free consultation with a product liability attorney.